Brayden played his Minor Hockey in Richmond . He was drafted out of Bantam by the Portland Winterhawks (WHL). 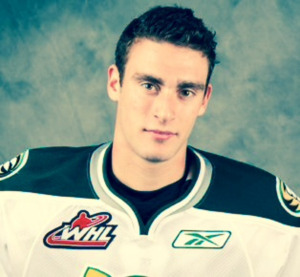 Prior to joining Portland he played one season with the Richmond Sockeyes, Merritt Centennials, and Powell River Kings (BCHL), before finding a home with the Everett Silvertips (WHL) where he is entering his third year with the team. He has been coaching at Pacific Elite Hockey School for 4 years and his contribution to the development of many of the young players have led them to go on to Junior or College Hockey careers.